Powershell script to find the ilo details of the blade running on HP Enclosure. By using the below powershell script we can find the ilo name and its ip of the blade running in the HP Enclosure. To run this script we need Get-HPOAServerList cmdlet and we need to provide the HP Enclosure Name\IP. Type ( get-help Get-HPOAServerList cmdlet -full ) for more examples. This entry was posted in HP, Powershell and tagged HP, hp c7000 enclosure, Powershell. Bookmark the permalink. 1 Response to Powershell script to find the ilo details of the blade running on HP Enclosure. FYI, great resource here. 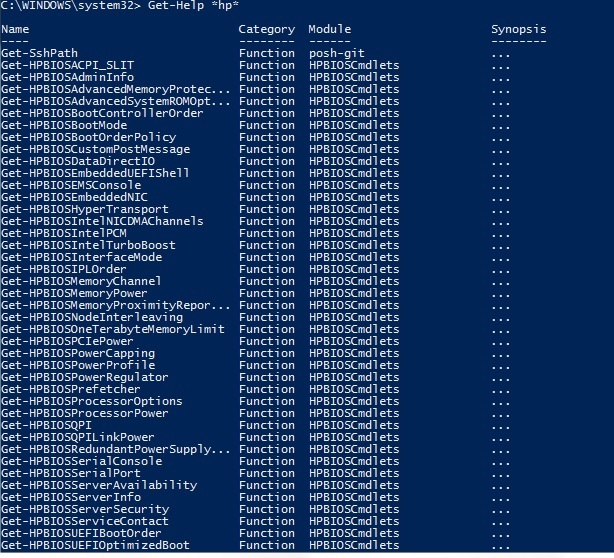 However, if you want to run any OA Powershell cmdets you have to download the OA specific Cmdlets from HP. The base cmdlets have iLO and then there’s a BIOS cmdlets available as well.